The Achieve Systems Business Explosion Conference for fitness, nutrition, therapy and health pros! Fill out this form to receive a FREE VIP pass to join us at our event! VIP passes are awarded and you will receive an email with your ticket and acceptance. These conference do sell-out so we recommend you apply for your VIP pass early if you wish to attend as a guest! Which conference would you like VIP tickets for? February 23rd, 2019 Heartbeat Marketing Conference Doubletree Hilton Hotel Denver Tech Center- Nutrition Pros, Healers and alternative doctors dream! June 15th 2019 Achieve Biz Explosion Conference- Rock your business Doubletree Hilton DTC June 14th 2019 Strategic Relationship Development Day- leave with Dozens of new partnerships October 2019 Biz Explosion Conference and strategic relationship development Details available in January 2019. 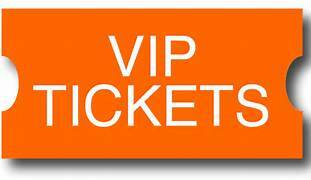 VIP tickets for the conferences are available for guests to come see our incredible events, engage with our community and see if your interested in working with us to grow your business. Our conferences are for Achieve members exclusively and you are requesting a guest ticket. We award 1-2 guest tickets to non members and subject to availability. Do you have any questions? How many VIP tickets are you requesting for this event? As a VIP guest you recieve a FREE ticket to the achieve systems business explosion conference. You agree to attend the conference and use the VIP ticket as we do sell out most all events and have a wait list as we get close to the event. This ticket has a $499 value and is provided to you for FREE. If you no show the event you agree to pay $199 for the seat that was not occupied as to the terms of the free pass. We look forward to seeing you at this incredible event. Biz Summit approved VIP GuestsAs a VIP guest you are provided a FREE pass to both days. The pass is valued at $149.00 per day and we have approved you as a VIP guest. Your seat is confirmed. In order for us to hold your VIP seat you agree to be at the event or let us know you cant make it a minimum of 21 days before the event so we can sell your seat as we do sell out. If you do not show the event you agree to pay the seat hold fee of $149.00. provision of emergency- of course we all have emergencies and if you do please let us know. It is our objective to hold the top events in the industry and due to that seating is limited. Achieve LIVE Events- If you are interested in hosting an achieve LIVE event and having us come to your area to hold one of our incredible 1-day business building workshops contact us at robert@achievefitsystems.com.